The genus Ribes, was classified to the Saxifragaceae family originally, but was later placed within the Grossulariaceae family on the basis of morphological traits such as the presence of inferior ovaries, syncarpous gymnosperm and fleshy fruit. The blackcurrants are natives of Sweden and northern parts of Russia, as well as the northern counties of England. The word “currant” is originating from the ancient Greek word for the city Corinth and was used to illustrate grapes grown in the region. Early references to Ribes currants use words like corinthes, corans, currans, and bastarde corinthes. The known blackcurrant culture in farms and gardens dates back at least as far as the Renaissance in Europe. 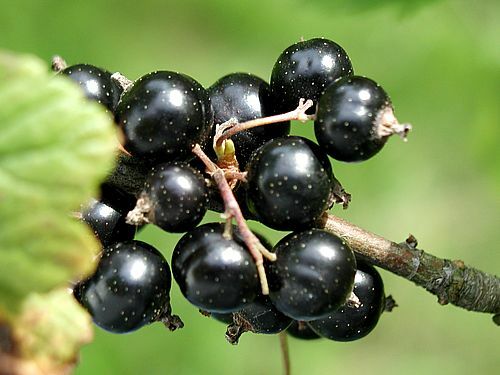 Blackcurrants have been cultivated in northern Europe for more than400 years and records were first described by the 17thcentury herbalists, e.g. Gerard (1636), referring to the use of blackcurrants as ingredients in tea and medical concoctions. The use of blackcurrants fruit as a herbal medicine emerged in the Middle Ages. In the 16th century, European herbalists started to recommend Ribes berries or their syrup for the treatment of several illnesses, including bladder stones and liver disorders, cough and lung ailments. In England blackcurrants were once called ‘squinancy berries’ because they were used to treat quinsy. These small berries don’t appear to have been cultivated until around 1500. During 1700s , blackcurrants were domesticated in eastern Europe and sold to farmer’s markets in Russia. Blackcurrants were introduced in the USA along with red currants in the seventeenth century, but received little interest in terms of their domestication and cultivation. During the Second World War blackcurrant cultivation was encouraged by British government due to in part the fruit’s suitability to the UK weather and the berries’ high content of vitamin C.
Nowadays blackcurrants are the leaders Ribes crop worldwide and are still mainly processed rather than used fresh, due to their strong flavor.